ELAN and Marshall’s Design Inc. offer new home personalization fusing interior design and technology. 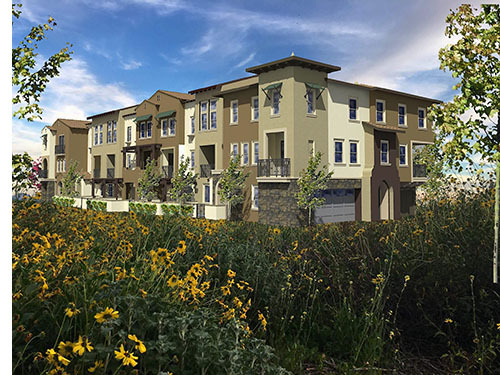 PETALUMA, CALIFORNIA — Elegance and convenience come together with high-tech sophistication in the new Camarillo, California ParkWest Townhomes community now being developed by Aldersgate Investment, LLC, a full-service real estate development and construction firm. 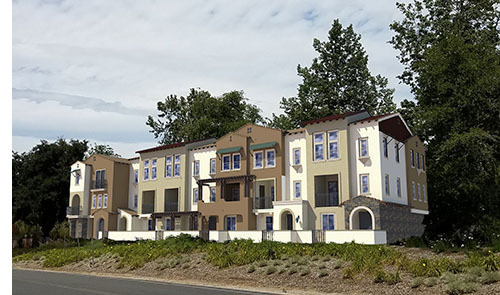 Each one of the 87 townhomes, designed by Marshall’s Design Inc., come equipped with an ELAN® smart home automation system, including an ELAN smart home controller, video doorbell and intercom, a smart thermostat, and lighting controls that are all installed by local ELAN integration partner Secura Com®. “Homebuyers want to move into a finished, personalized, and tech-rich home,” ELAN Director of Builder Services Bret Jacob said today. “The ParkWest Townhomes development is being marketed as the perfect combination of high style and high technology — in fact, the ELAN system is the headline in the development’s marketing materials.” According to Jacob, Aldersgate understands the importance of offering smart home control to its tech-centric homebuyers. Working with Secura Com makes it possible to provide a base system that can then be personalized to meet the individual lifestyle needs of each homebuyer. The standard ELAN solution ensures that homeowners arrive to a well-lit house, are able to talk to a visitor at the front door from anywhere in the world, and can enjoy climate control that provides both comfort and energy efficiency. The system can be expanded and personalized through four upgrade packages offered by Secura Com. The “Peace of Mind” package adds an app-controlled smart door lock, smart garage door opener and a surveillance camera for the garage so that the homeowner can talk to a front door visitor and let them in the door or garage remotely from the app. The "Safe & Sound” package includes a fully integrated security system that can be armed and disarmed via touchpanel or remote. The system also reacts to specific security events. For example, the fire alarm can shut off the HVAC to prevent smoke from spreading through the house while key interior lights automatically turn on to help the homeowner exit the home. For music lovers, the “Music Everywhere” package adds whole-home audio with four stereo music zones and eight in-ceiling speakers. Plus, the speakers are part of the intercom system and announce security alerts. The “Media Room” package adds a 5.1 surround audio system with in-ceiling speakers, a sub-woofer, AV receiver and a smart remote to control it all. According to Century 21 Real Estate Agent Ray DeSilva, head of the ParkWest marketing team consisting of Sandy Seekins and Jessica Miller, the smart home features made possible by ELAN help him to sell to a new market. “From a marketing standpoint, advertising the smart home options is a major bonus. It appeals greatly to the millennial market—a generation that has come to fully expect smart home features built into their purchase,” he said. The ELAN New Home Program helps builders create complete and effective connected home strategies offering ELAN dealers and builders a complete range of benefits including aggressively priced and powerfully featured base packages, extremely important “sell-through” services, outstanding direct manufacturer product and marketing support and project oversight, and industry-leading model home and incentive programs. The program’s benefits to homebuyers are equally strong, including that the award-winning ELAN control system user interface is exceptionally easy to use and can be personalized for each individual homebuyer. 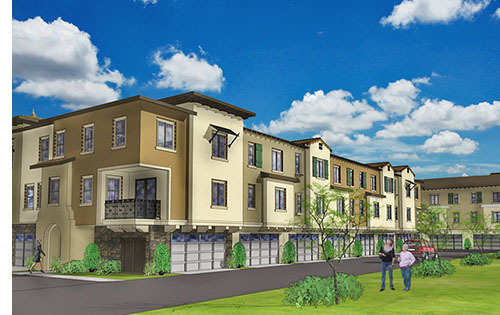 Luxury and elegance with high-tech sophistication come together on a grand scale at ParkWest Townhomes. An enclave of 87-brand new homes, ParkWest Townhomes is designed to appeal to homebuyers who appreciate and expect the best of everything in the home they buy. Each home is meticulously detailed, featuring fine craftsmanship and innovative designs, with floor plans that combine opulent living with leading edge technology. Each townhome features smart home features — see who is knocking on your door, turn on the lights or adjust the thermostat all from your smartphone. For more information, visit www.parkwesttownhomes.com. Secura Com has been serving the greater Los Angeles and Ventura county for over 30 years with a strong security background and delivering outstanding smart home control, entertainment customer solutions and service. Partnering with some of the best brands in the new home market, Secura Com’s attention to detail in every project enables them to deliver complete system solutions on time and to the complete satisfaction of their customers. For more information, visit www.securacom.net. Nortek Security & Control LLC (NSC) is a global leader in smart connected devices and systems for residential, security, access control, and digital health markets. NSC and its partners have deployed more than 4 million connected systems and over 25 million security and home control sensors and peripherals. Through its family of brands including 2GIG®, ELAN®, GoControl®, Linear®, Mighty Mule® and Numera®, NSC designs solutions for national telecoms, big box retailers, OEM partners, service providers, security dealers and consumers.